Unlike simple cancellations, the group must be made in advance of 5 days due to the large number of people. There is no additional conditions or terms, only respect other passengers. Groups have a 10% discount that may apply to our e-mail. 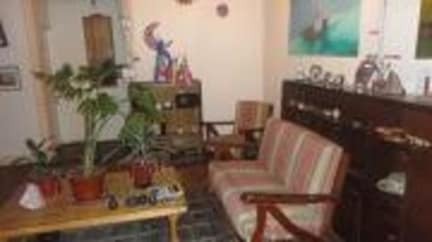 Welcome to Polanco Hostel Victoria Property a branch office opened from Polanco Property in Cerro Alegre (only 15 minutes walk distance from Plaza Victoria). . Our establishment is a patrimonial and historical building (over 100 years). We are located right in the center of Valparaiso (in front of Victoria Square) near all interesting places and local services: Supermarkets, restaurants, banks, pubs, cafeterias, Museum Home Pablo Neruda, Open Sky Museum, UNESCO Patrimonial Zone, etc. From your room window you will have the panoramic view of the heart of Valparaiso! We offer comfortable rooms and bathrooms with hot water, fully equipped kitchen, and to start exploring Valparaiso included in your stay free access to coffee, tea and herbal tea all morning. Our location is perfect for exploring Valparaiso. Upon arrival, you will receive all the touristic information you need, in particular on local activities, free maps and any recommendations you need. In addition, with us you can even practice your Spanish! ... Three times a week, free Spanish classes are offered. 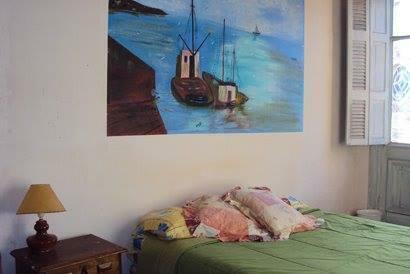 So you can better enjoy the art of Valparaiso, but without forgetting the warmth of our hostel. We have different programmable heritage tour in the historic area of Valparaiso. Our guide takes you safely through the most emblematic places of the city port. All you need is the desire to enjoy. Don't forget to tip the guide!! And the most important thing you can have fun and make new friends in our atmosphere family. * Included free access to coffee, tea and herbal tea all morning. * Free lockers for documents with their own lockers lock. * Free use of towels and linens. * Map of Valparaiso and free advice.